When it comes to making cakes, often the success (or not) of a cake masterpiece (or even a tiny birthday cake) will stand or fall on how well you planned the internal structures. But isn't there just one thing that works for all of this? The most common thing to rest your cake on is a cake drum. A cake drum is a thick board (around 1cm thick). 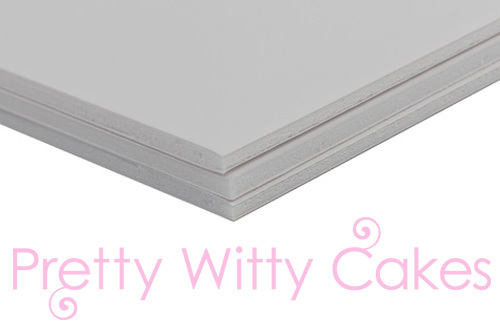 You can also get cake boards which are around 2 to 4mm thick. Some cakers prefer to use cake drums, others prefer boards. I use cake drums as it is much easier to scrape around the side of a cake when making a crumb coat if you have a thick drum around the base. 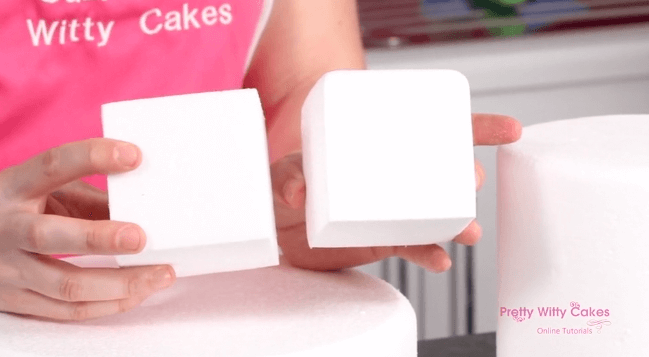 It also gives you a firmer area to apply pressure when covering the cake in fondant. You can also use wooden boards (common in Australia). They are usually available in the USA. They are harder to find in the UK. If you opted to make your own from plyboard or wood, you need to ensure you wash and sterilise it before working with it (and watch out for spliters). Using vodka is usually a good way to sterilise a wooden board. You don't need to do this on a silver covered cake drum or board because that is a food safe covering. Wood is good when you need to attach a firm support in the middle (metal armatures) or when you have a really heavy cake that needs a much stronger base support. What about between layers of cake? Between the layers of cake, people tend to use cake boards. This is because they are thinner and therefore the cake height won't change too much. Another option (which is much more versatile and fun) is to use Foam Core. Foam core is a paper based product which is extremely thick and strong. It will carry a very heavy cake. The advantage to foam core is that you can cut it into just about any shape. That means you can have wobbly lines around the edges of boards that perhaps match your cake theme. As you can see in my pirate ship cake above, the board is foam core which has been cut into a wobbly line rather than a straight one. This cake was about 2 feet tall and very heavy. The foam core used was 10mm deep (you can get varying depths but the most common are 5mm and 10mm). 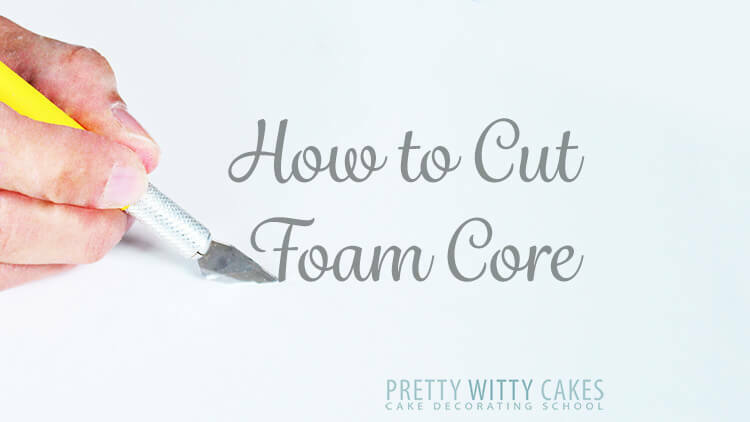 If you want to learn more about Foam Core, have a look at this Free tutorial HERE. When you are learning how to decorating cakes, one of the best things you can invest in is polysterine dummies. 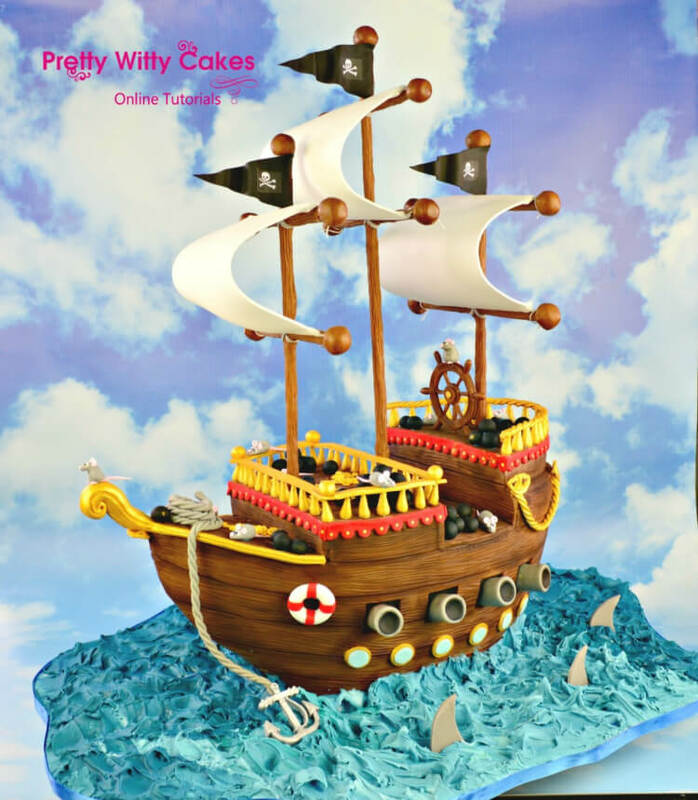 This allows you to practice covering cakes and work out a portfolio of designs for photographs without having to bake heaps of practice cakes (thus saving you a ton of money). Dummies are much easier to cover than cakes because they are firm and solid. This means you can press very hard when working on them - they won't dent like cake will. Dummies are also good for the base of heavy cakes. For example if you wanted to make a cake with a triangle pointed base, you could make the bottom section from a dummy as it would offer more support than real cakes. If you are looking to make wedding cakes, dummies are great as a dummy cake would last months and months as a display cake whereas a real one would go mouldy! You can buy two main types of dummies: chamfered or straight edge. Chamfered means that the corners or edges are softened and smooth. Straight edged means they are sharp. In the screen shot from the video below, the one on the left is a straight edge square dummy and the one on the right is a chamfered square dummy. Dummies are completely reusable. You can pick off all the dried out fondant then wash your dummy (they also survive a dishwasher). The biggest 'problem' with dummies is that they are a bit of a nightmare to cut. 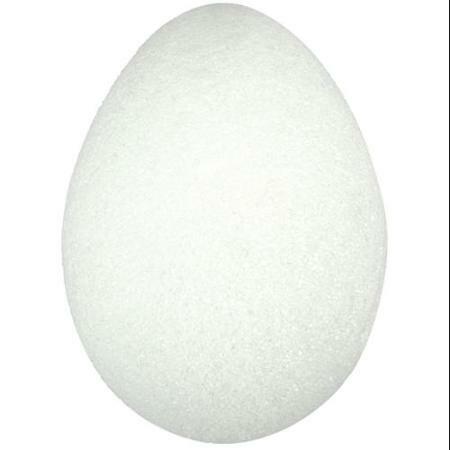 The foam is very light so it gets absolutely everywhere. You always need a hover hose helf next to you to catch all teh snow foam flying everywhere! However, most of the dummy suppliers will actually cut then to the shape you need. We have had them cut into dog shapes, cars, eggs, pyramids, vases and more. This is a really great way to try out a design without fully commiting to it.